Slate perfectly captures the post-college “what do I do now” anxiety and uncertainty, and Landline should, for Quinn, be a star-making turn—she straight up hijacks the screen from whoever has the misfortune to share it with her, and given her co-stars, that’s an impressive feat. Falco is as good as she’s ever been, and this is worth watching for the authentic, poignant relationship between the mother and daughters alone. It encapsulates the inherent angst, rebellion, and love in so many mother-daughter dynamics. Turturro doesn’t have much to do, then again, he’s not the focal point. Though he delivers enough pathos, depth, and trademark weirdness to keep his character from being a mere plot device. 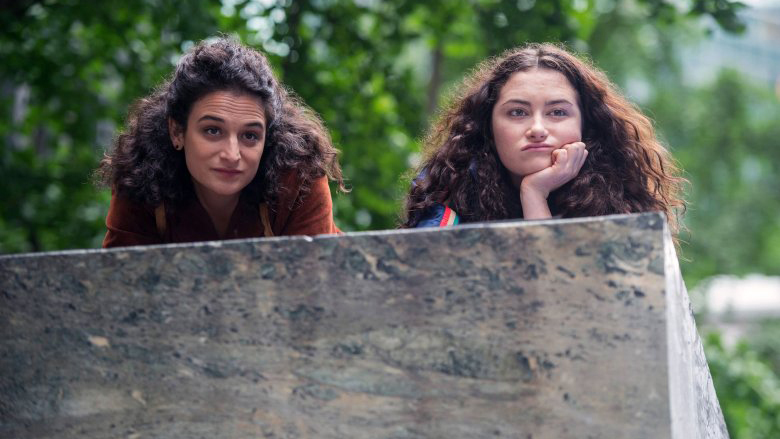 Perhaps not as memorable as its predecessor, and occasionally straying into sitcom territory, Landline remains charming and grounded, a touch nostalgic (especially for children of the ‘90s), and entirely relatable across many levels. The characters are funny and flawed and real, and the film shows them warts-and-all but never vilifies or passes judgment. This is an expanded version of our capsule review from the Seattle International Film Festival.